Once the prisoners had disembarked they were driven through a big city. It was only a short journey, and soon the gates of their new ‘home’ opened. It was a huge camp with a large watch tower in the middle. It turned out to be Kiel they had been brought to. Most of them were placed in single cells which lined a long corridor, on the fourth floor. My father inspected his cell as soon as it was light enough to see. It was tiny, the walls were white-washed and the room measured ca 2 x 3.5 metres. A toilet bucket stood in the corner and he saw a wash basin and a soap dish plus a narrow bed. They were left in solitary confinement 23 hours a day, but were let out for short periods. No communication was allowed and they had to walk around in circles, one metre apart, until they became dizzy. One of the mindless jobs the guards told them to perform was to rub two bricks together and collect the dust in a bowl. They were all very lonely and sad, but somehow managed to talk to each other after the lights had been turned off. My father kept these photos of mother and me during the hard times, and he said it kept him going. That first Christmas in the camp was dreadful for all the men. On Christmas Eve (which is the main day for Norwegians) Alf Seljenes, a poet amongst the men, recited a poem he had composed. They stood by the windows facing the corridor and listened until tears ran freely. This is what he said (translated, but impossible to rhyme) by me. 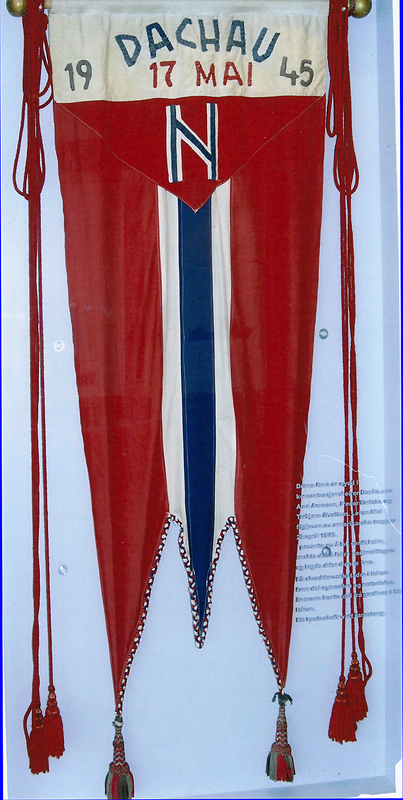 “What have you done for Norway, for Norway the sacred ground? What have you done for Norway, where your mother and father were born? Unfortunately I did very little, because prison camp was my fate, but maybe that is the hardest and most difficult of all to come to terms with? To sit here with bars across the windows, totally alone, is real torture. 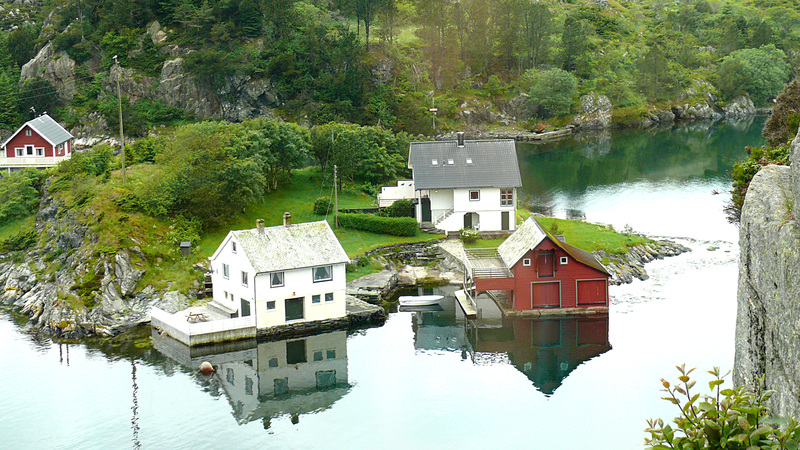 Oh, how I wish to be back in Norway and to be free. Celebrating Christmas behind the prison walls in a foreign land can make one question and wonder, and also makes a poor man feel miserable and sad. Try to be steadfast and strong, and remember the bough that bends is better than the bough that breaks. This should teach us all, even though it is hard to do, to love your fellow-man, and forgive the enemy too. And so, we wish all our loved ones a happy and joyful Christmas, and hope your stomachs are not as empty and hollow as ours are. Accept our very best greetings, and we know we have yours too – Every beating heart at home will wish us peace for Christmas. 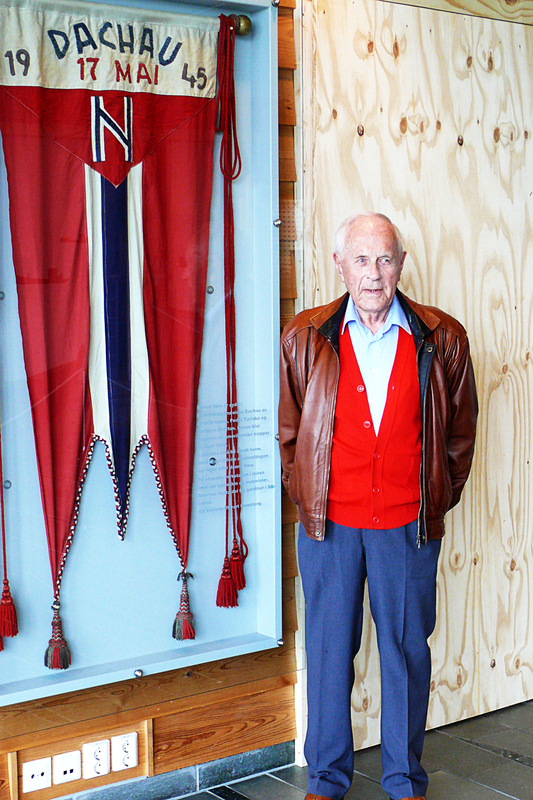 Seljenes survived the war and some of his many poems have been written down and kept. It was forbidden to have pen and paper which made it more difficult of course, but a good memory helped. Alf Seljenes wrote this prologue in memory of their friends and fellow countrymen who had been condemned to death or already been shot, on New Year’s Eve in 1942. Prologue in honour of our condemned friends. Friends! On this, the last day of the year, I think you will all agree it is a day we will never forget. 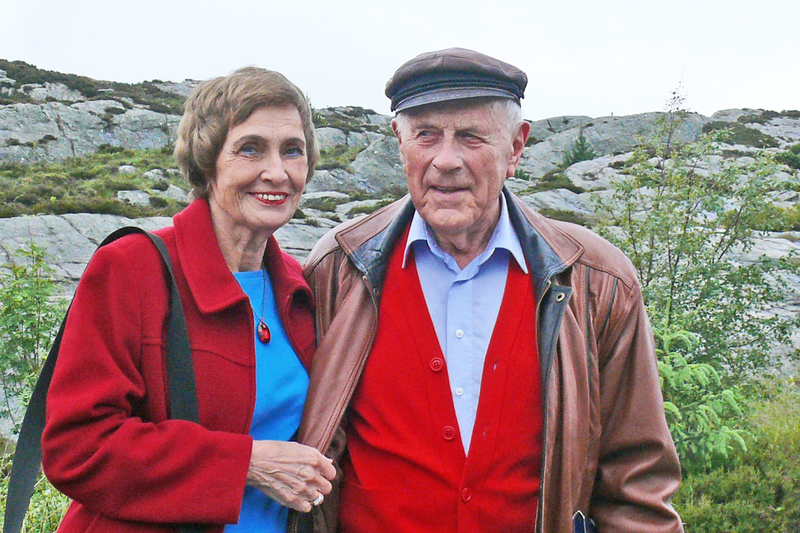 Rasmussen, Gjertsen and Offerdal – we remember you in our hearts. All of those, who never faltered, but were taken away: Iversen, Johnsen and Svanevik. We remember Garbo and Skjold. Many more have fallen and suffered and gave their lives. We remember Duesund and Vang and many more. I don’t believe anyone, from pole to pole, has been honoured like this. We stand here by our prison window and ‘give them our soul’. Friends! Stand at attention – let the torches of honour shine. We wish to say Rest in Peace. The days and months passed slowly. The long, light spring evenings came and the cherry tree in the prison yard was in full bloom. 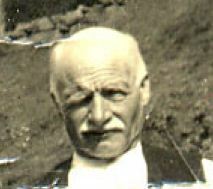 Kristian Stein, the leader of the organisation, plus five others were condemned to death and executed. My father contracted typhoid fever and spent many weeks in a prison hospital. Cod liver oil, given by a kind guard, saved his life, he reckons, and he was eventually returned to his lonely cell. For a while he was plumper than the others, but the weight soon dropped off once he was back on meagre rations! The families they left behind. 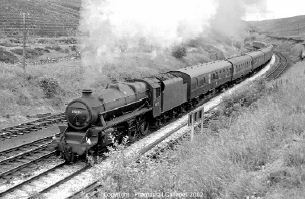 After my father’s arrest, and that eventful day he was sent by train into the unknown, we settled down to some sort of normal life again. The future was uncertain and times were hard. Rationing was really biting by now -1942 – and money was, for us, in very short supply. I loved my grandparents, and was particularly fond of granddad Ole, my father’s dad. He was jolly and kind. He also had a lovely voice and I often sat by his side when he sang to me. But it was my mother who had to take charge of the household and make all the decisions after my father ‘s arrest. The Germans treated us reasonably well, as long as we ‘towed the line’. It was forbidden to keep a radio in the house, so my grandfather buried our set near a big tree in the garden. It never worked once it was dug up after the war. So, you see, we had no idea about world events and how the war was going, except for those brave souls who listened to shortwave radios in secret and related the latest news. 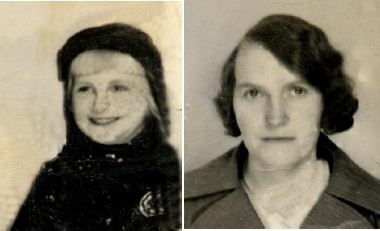 My aunt Selma, who was in charge of a hotel in Stavanger, asked my mother to help out during the summer holiday in 1942. This hotel was occupied by German officers, but my aunt and all the staff were ordered to remain. She did her best and found that some of the officers were kind and understanding and were not Nazi-friendly. In fact many hated the war and lost their own families during the numerous bombing raids over Germany. Late one evening my mother and I boarded a ship in Bergen and sailed overnight to Stavanger in convoy. All went well but I was very ill. For days before we departed I was in bed with a high fever. It turned out that I had contracted diphtheria. As soon as we disembarked it was straight to hospital for young Elin, and there I remained for three weeks. The isolation ward I was in was full of sick children, and some died. I was lucky and had no lasting problems afterwards. 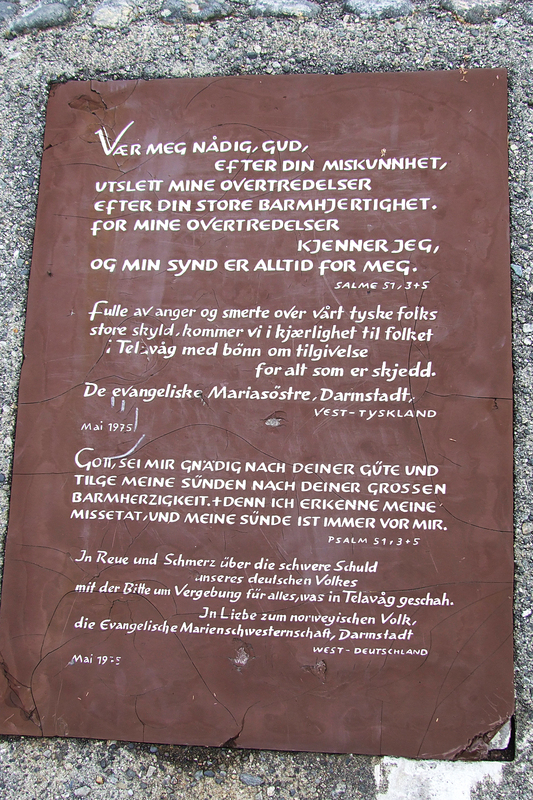 We stayed in Stavanger for several weeks after I had recovered. My mother worked hard but we loved being with aunt Selma. The nightmare begins for real. 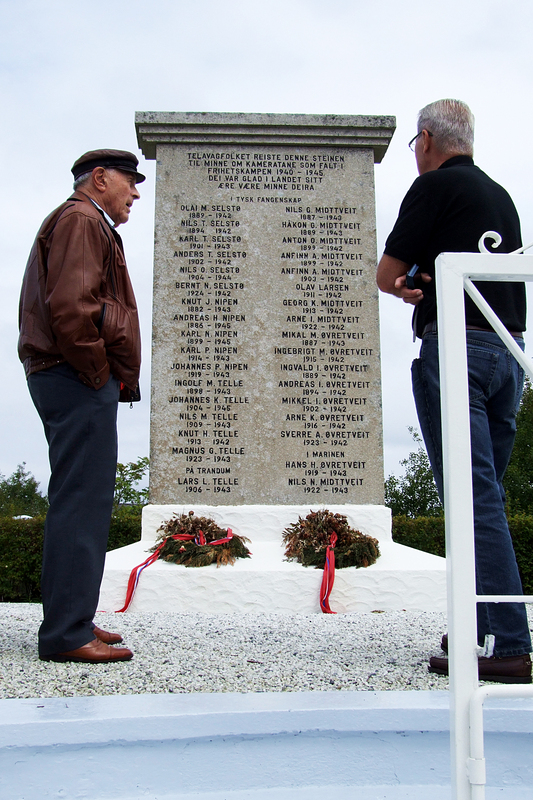 Sunday the 10th of May 1942 was another terrible day – never to be forgotten. At 4 am the Ulven prisoners were handed back their civilian clothes, and told to get dressed because they were off on a long trip. They were taken, by lorries, to Midtun Station, which uncannily was located about 500 metres from our house. The train gradually filled up with prisoners from various camps near Bergen, and there the poor men sat for hours, still not knowing where they would be sent. One of our neighbours came running to tell my mother she was sure she had seen my father, looking very distressed, staring out the window. Mother and I ran as fast as we could, looking for him, but I don’t believe she saw him. I can’t remember much about this episode. Maybe I was too upset to comprehend what was going on? Unbeknown to the men their destination was Germany and three years of pure hell. 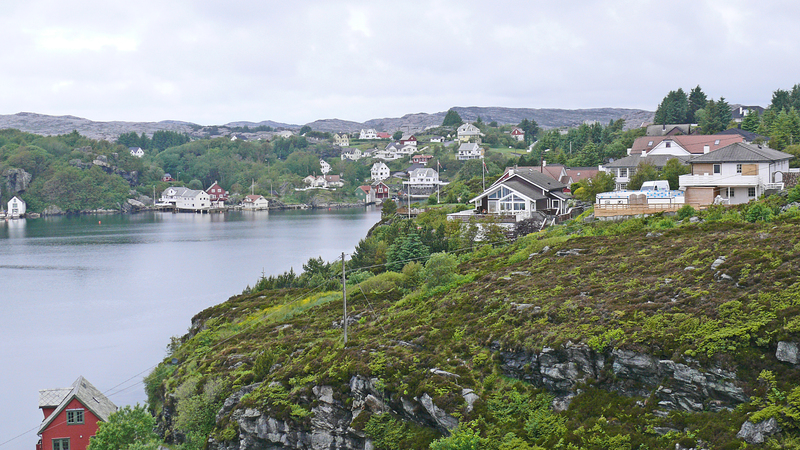 The train journey over the mountainous part of Norway, between Bergen and Oslo, is one of the most scenic in the world, and it is now a much sought-after holiday for many foreign visitors to Norway. Some of the men had enjoyed skiing and walking holidays in the area and knew it well, but this particular trip was one they could do without. Kristian Stein and some of the leaders of the Stein-organisation were also onboard, but were kept in a separate compartment. The train arrived in Oslo, after a long and distressing day. Their worst fears were realised when they were brought to the docks and lined up in groups to board The Oldenburg. The ship belonged to the Hamburg/America line and was a passenger/cargo ship. 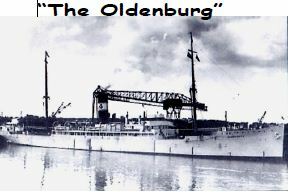 (The Oldenburg was hit by British planes in 1945 and sunk.) The conditions onboard were awful- the last cargo had been a horse-transport, and the ship had not been cleaned properly. During the two-day journey they were allowed to come on deck in small groups and discovered that they were in the middle of a 9-10 ship convoy which moved in all directions in order to avoid the many mines. On May 12th at 7 pm The Oldenburg finally dropped anchor and the men told to disembark but they had no idea where in Germany they had arrived. Our lives during the early part of the war. 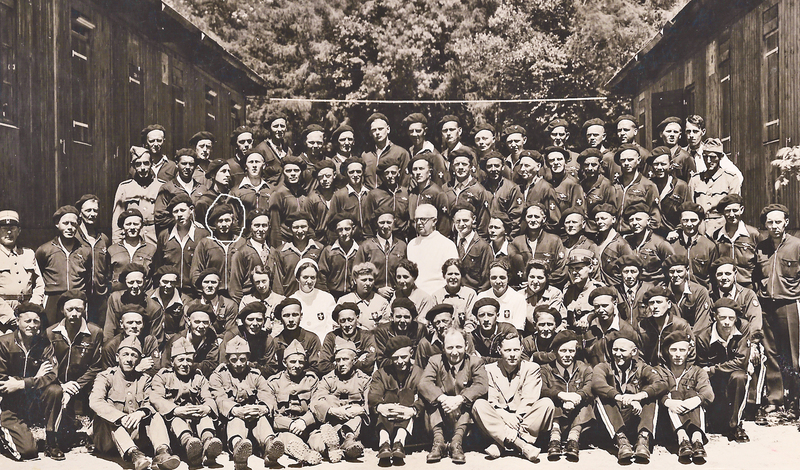 My father and some of his friends joined the Kristian Stein Organisation towards the latter part of 1940. I am not exactly sure what my father’s mission was, but I do know he often had secret documents hidden in a dark closet under the stairs, ready to be distributed the next day. 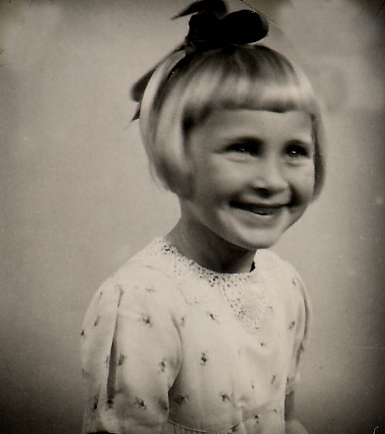 Here is a photo of me, age 6, in 1942. 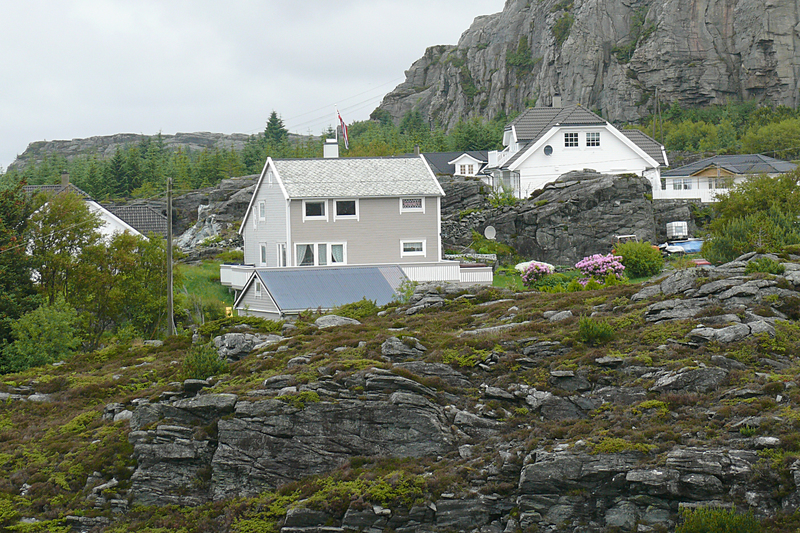 When I was growing up we lived far enough out of Bergen for it to be considered ‘as living in the country’. My uncle and aunt had the house next door and my grandparents the flat upstairs, so I was never lonesome. My mother had six sisters and two brothers, and many of them came to see us regularly. 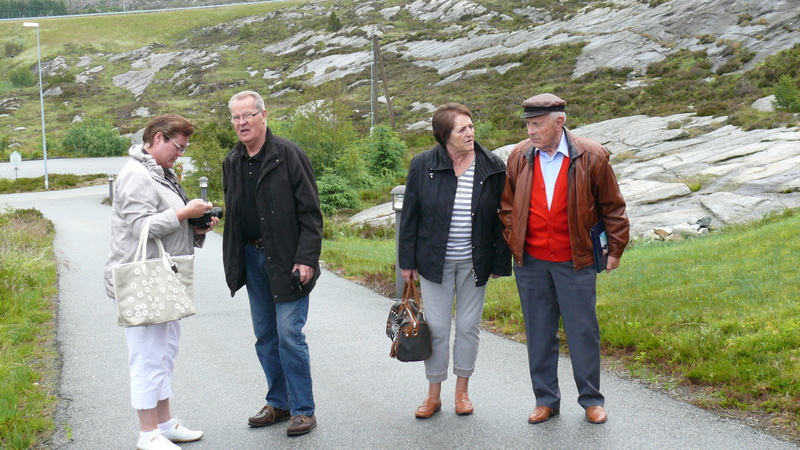 I had friends in the neighbourhood – and one best friend, named Marit. She and I played together all the time. I used to envy her because she had a sister and a brother, and I was ‘all alone’. But she thought I was lucky. We’re never satisfied, are we? Anyway, life was quite good for us youngsters, but my parents, and everybody else, had many difficult times. Food was rationed and the Germans were all over the place. We had blackouts every night and money was in short supply because of the depression. Unbeknown to the Kristian Stein members a spy had infiltrated the organisation. 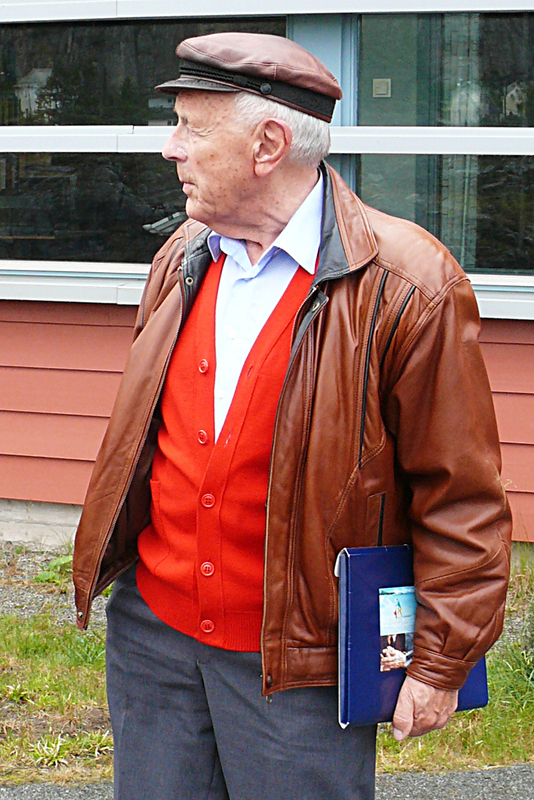 His name was Marino Nilsson and he worked for the Gestapo in 1940. I have read that he was a hopeless drunk, and was persuaded to spy for the Germans in exchange for alcohol. Some members became suspicious about his commitment, but by then it was too late. He knew the names and addresses of all the members. It often rains in Bergen – surrounded as it is by seven mountains – and late in the evening of October 23rd 1941 was no different. I was fast asleep and my parents about to retire for the night when big, burly soldiers hammered on the door. My father, and six of his friends, were arrested and our house thoroughly searched. The soldiers simply went to each house and took them away. They became known as the ‘ Nesttun-Boys’ because they all lived in and around the area. 204 arrests took place in the Bergen-area over a couple of days. If any illegal maps or papers had been found when my father was arrested, he would have been shot. However, he was lucky because the papers had been delivered the day before. I was totally distraught and can’t remember much of what took place, but if ever there was a ‘daddy’s girl’ that was me – My father was always there for me, kind and gentle. After the arrest most of these men were sent to Ulven Leir, near Os some 10-15 miles south of Bergen. 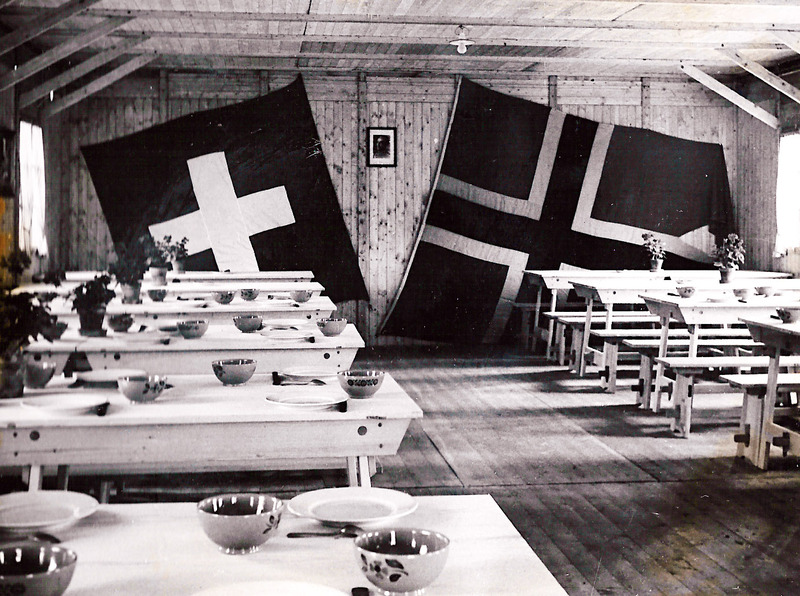 Before the war it was a Norwegian military training camp, and reverted to it in 1945. 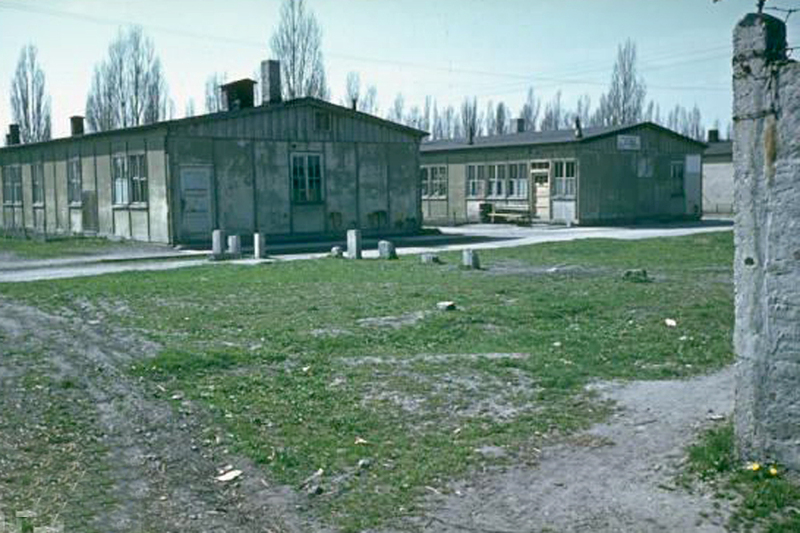 The seven boys from Nesttun were all together in one barrack, and six of them survived the hard times ahead. They spent the next nine months here. During those months my mother and I met my father just once, and that was thanks to a family who lived nearby and had a farm. 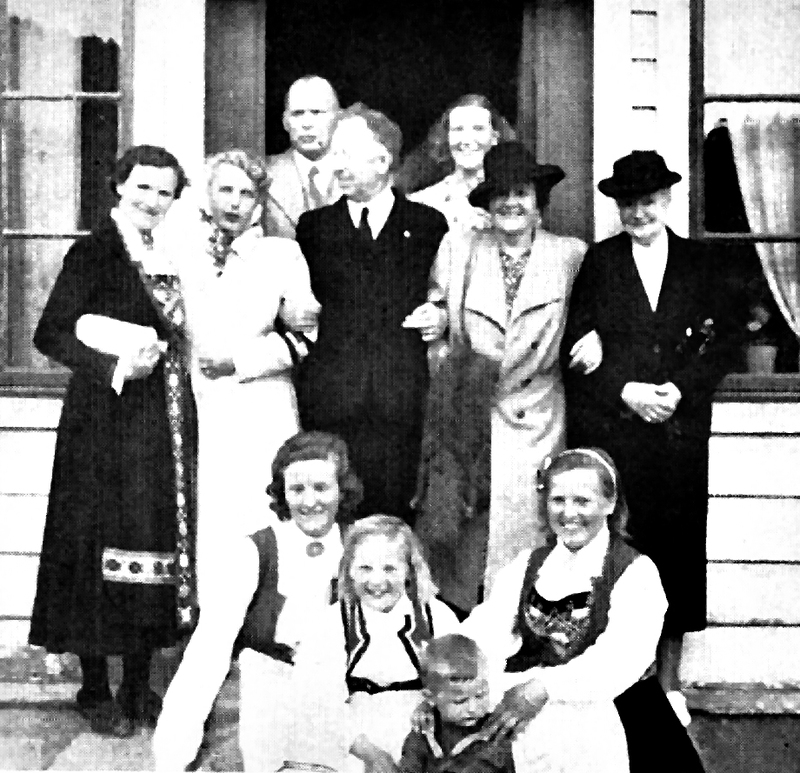 Here is the Soefteland-family with friends after the war. They had five children and owned quite a big farm not far from where the prisoners were held. Both Jon and Anna became involved with the Ulven Leir. 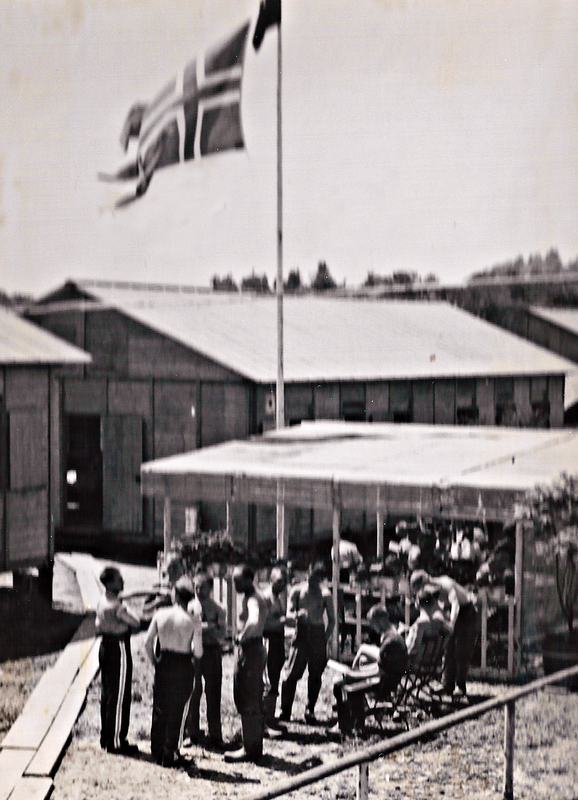 Jon delivered farm produce to the prison camp and became aware of what was going on. He had to pretend to be on friendly terms with the officers in charge in order to be of help to the prisoners. As a farmer, and with help in short supply during the harvest, he persuaded the German officers that he needed men to help out. His cunning plan worked. He was given a list of the prisoners due to come and his wife, Anna, contacted the wives of these people. The pretence was that they were there to serve at the table during lunch. There were always at least two soldiers to guard the Norwegians, but somehow ‘stolen private moments’ were made possible. Anna would ask one of the men to go to the basement and collect some food, and made sure that the wife was down there waiting for him. That’s how my mother and I got to meet dad and give him a hug and a kiss. Jon and Anna were rewarded after the war, and Anna wrote a very interesting book about it all. A most remarkable family indeed. I can remember them and their cosy big livingroom full of ornaments, oak furniture and pictures. One of the sons played the guitar and had a lovely singing voice. Even the Germans enjoyed themselves. In fact, many of the quards were nice and fully aware of what was going on. They even warned Jon and Anna about some of the more Nazi-friendly soldiers.